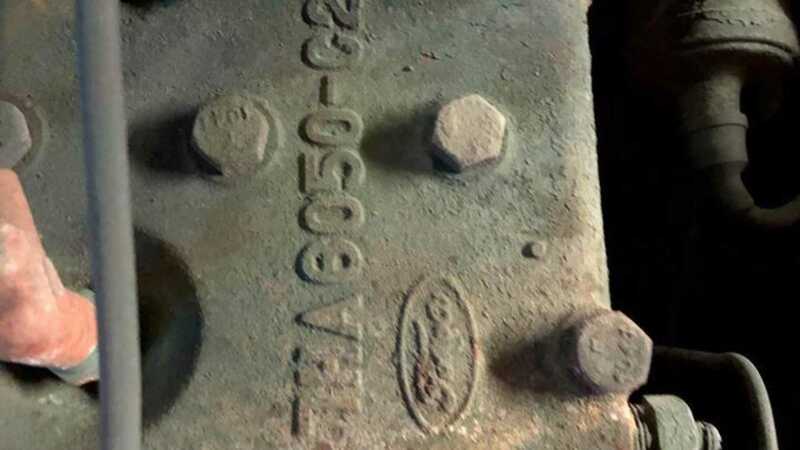 This classic Ford pickup truck ad offers little details to support a hefty $25,000 price tag. 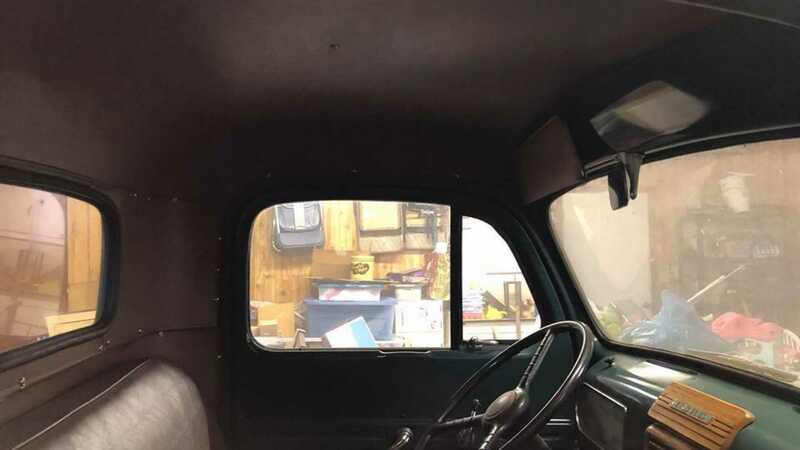 As the automotive enthusiast and collector communities are fresh off the heels of several auction houses hosting events in Scottsdale, the excitement of it all is still hanging in the air. Amongst the inventory that changes hands is always a few break out cars that fetch surprising amounts, despite being unassuming during their time. 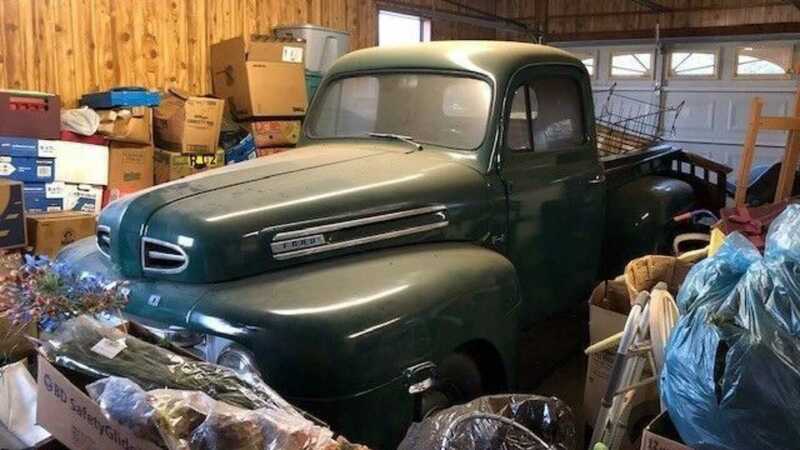 So when a model like an early post-war Ford pickup loaded up with clutter shows up with a Barrett-Jackson price tag, despite being in buried in storage, you’ve to wonder if we’re seeing another vehicle that’s about to see a valuation spike, or if it’s just another overly ambitious seller. 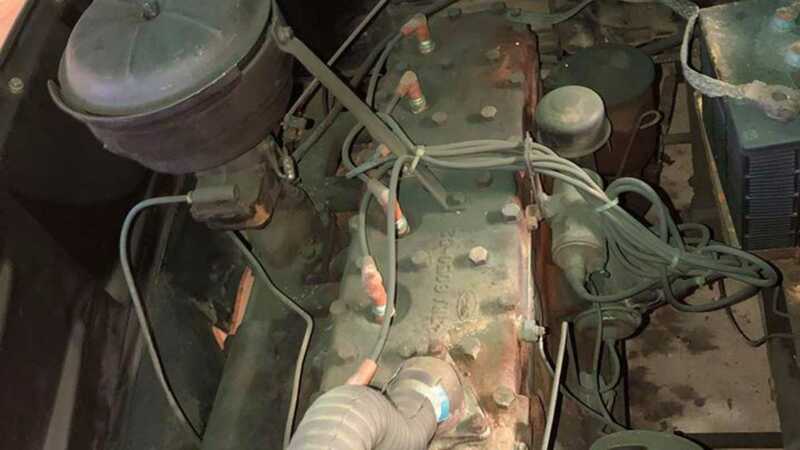 Located in the northern part of Alabama, the 1950 Ford F1 pickup is listed on eBay with a $25,000 Buy It Now price, with the option to make an offer. 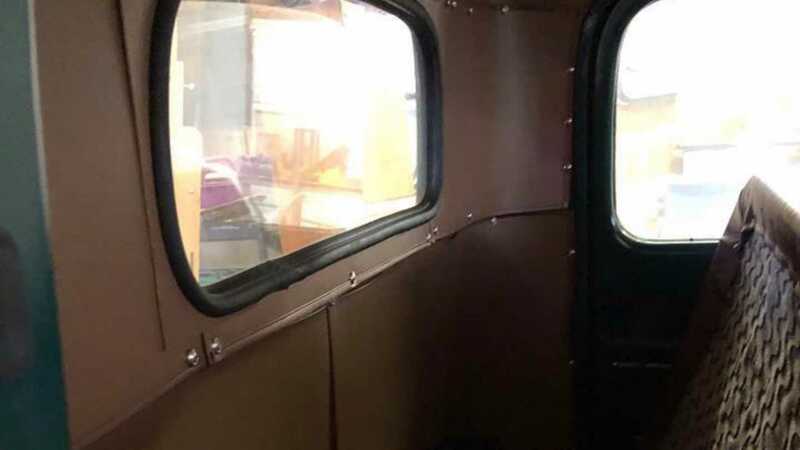 Whether it runs or not remains a mystery since no information is offered outside of it being equipped with a six-cylinder and manual transmission, and being a “Beautiful original” with only one owner. 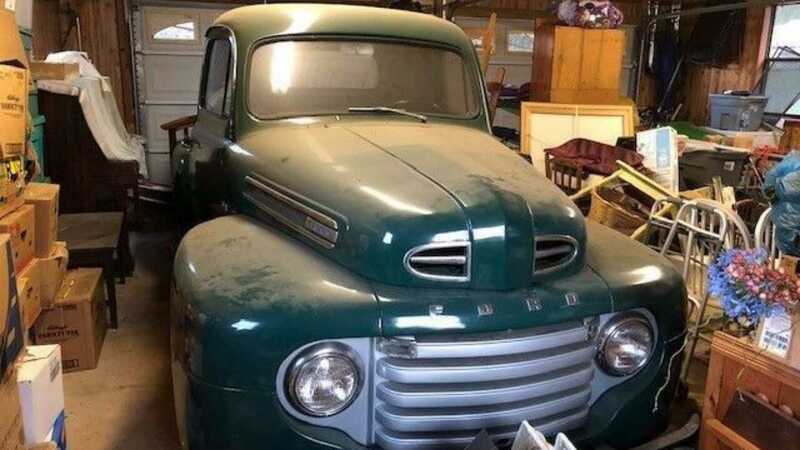 The curious part is, despite the seller claiming the truck has one owner, they also call it a barn find. There are some far fetched scenarios that could make this statement true, but again, it would be far fetched, and since you can’t find your own car, it’s more likely that the seller latched onto the term ‘Barn find’ as a buzzword to get people like us to check it out. 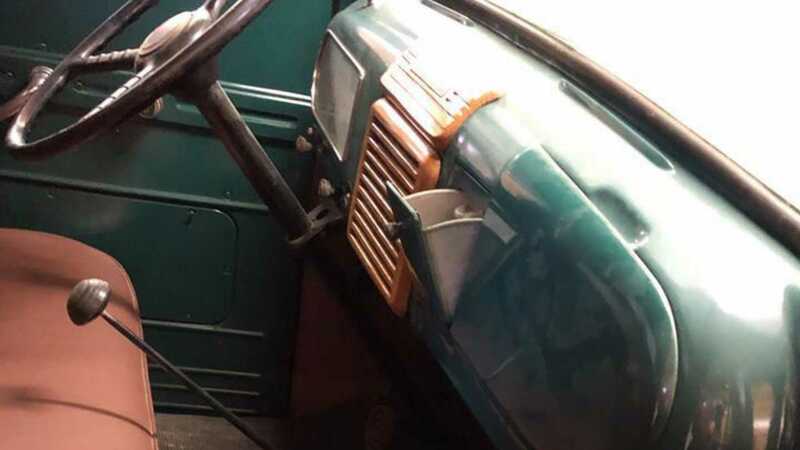 While the exterior and interior appear to have little issues, other than being covered in dust, the engine compartment is where a keen-eyed collector might start to back away. 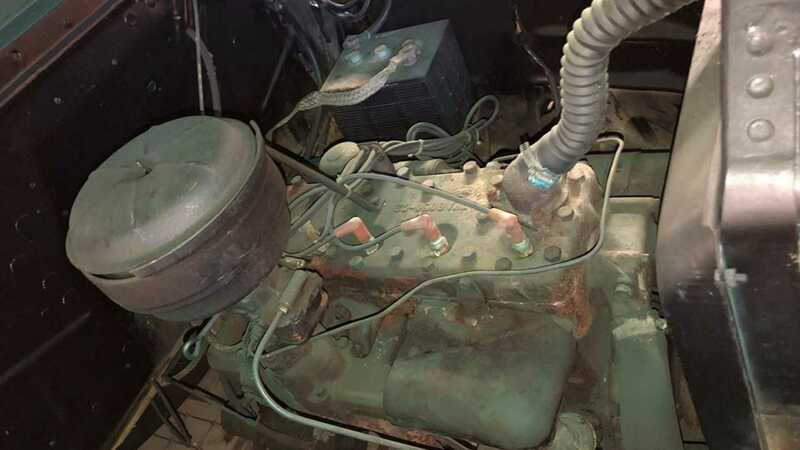 The inline six-cylinder engine, along with wires, the carburetor, and battery are all covered in green paint. 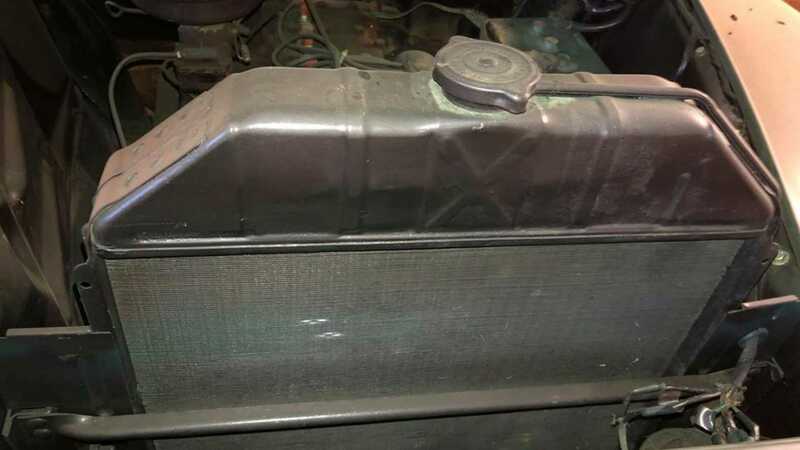 Aside from being a mess that needs to be cleaned up, what this would seem to indicate is that the metal in the engine bay was repainted, and the engine wasn’t pulled, a small detail, but glaring restoration faux pas. 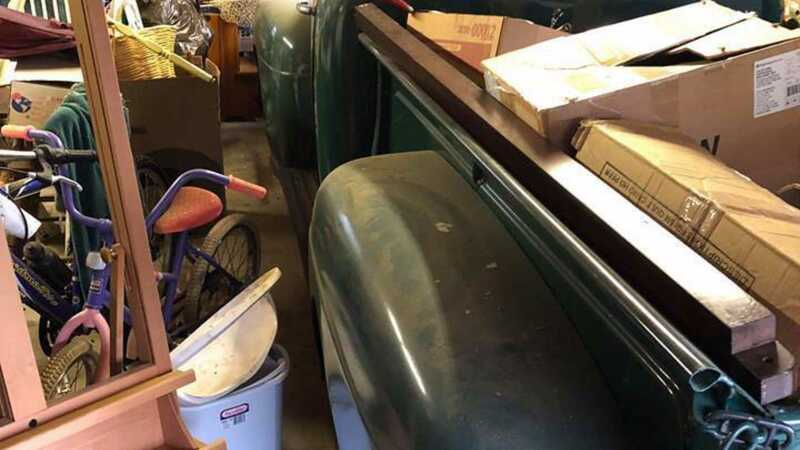 The biggest question about this classic pickup truck is if someone is going to buy it at that price, or if it’s just going to stay in storage until the owner comes down quite a bit. If someone does pick it up, it could drive asking prices way up.